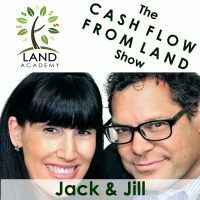 Steven Butala: Today, Jill and I talk about when to use the MLS for immediate resale of your property and when not to. Jill DeWit: Some people don’t realize you can use the MLS for any property type and any price amount, right? Steven Butala: You know this is Equity Week, this week. 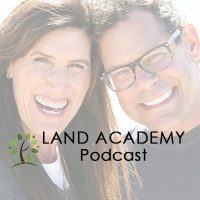 How to create equity through buying and selling land. And I’m not sure that, it just occurred to me that most of the people get their informal training from becoming a real estate investor, from their parents during their primary residence, you know? Steven Butala: Like your parents, or somebody you know, sold a house and made a lot of money, couple hundred thousand bucks, maybe even millions if you are in California or Manhattan. And a switch flipped, you know, it flipped in my head when I was younger. Like, what if I just did that four times a year? Steven Butala: Really. I was really young. That could be your … Dad, you’d make way more money if you just did four of these a year. Oh, yeah, son, you’re probably right. I gotta go to work. Jill DeWit: Exactly. Hand Dad his lunch. Bye. Steven Butala: He pats you on your head. Steven Butala: Don’t knock yourself out. Do good at math today. Jill DeWit: Isn’t that funny? Alright. I know you have a lot. This is good. Steven Butala: So, it truly is … Some of this stuff is so simple once you accept this fact, that all the crap that you’ve learned about real estate investing, that you’ve absorbed like a sponge your whole life, you gotta kinda undo. Steven Butala: Three times as much as I did last year in my salaried job. Jill DeWit: It’s like, if I already made my salary up for the year, so the rest is gravy. I can’t remember when it was. It might have been in some point last year. I don’t know. It’s all a blur. Steven Butala: 2017 is a blur. Jill DeWit: I know. But at some point throughout either this year or last year, he made a point to say, alright, today’s the day. I already matched my salary, what I would’ve been working for the full year at my old job. Which was a good job, by the way. So, it was awesome. Jill DeWit: Yep. Love it. Steven Butala: What better endorsement for real estate investment is that? Steven Butala: Before we get into the actual topic, let’s take a question posted by one of our members on the landacademy.com online community. It’s free. Jill DeWit: Okay. Steven, this name comes up a lot here. Steven asks, I’ve been looking at county records while cleaning up RealQuest data for a mailing, and it sure is tempting to mail foreign owners. Number one, no one is most likely contacting them. Jill DeWit: And looked like good candidates to get an offer. I know there are more issues, but if closing through an escrow service, would that make it more viable? Is it even worth considering, or just focus on the easier ones and not even put thought into this? Steven Butala: So nine times out of ten, the people who ask questions on the show answer their own question right at the end. Jill DeWit: I know. I was gonna say, I’ve had some call me. Remember the … I remember I had this property, this great property, in Northern California, but the deal was, it was a pain in the rear because, the guy called me, he was in San Francisco, who worked for the couple who lived, like, in Japan. I’m like, okay, this is a pain in the rear. And I would talk to him, and he would call them. And then they would call him, and then he would call me. And then I’m like, okay, how are we even going to sign this? Okay, well they’re going to be here for the Holidays, or da da da. And, like, you know what, eventually I totally dropped the whole thing, because it was just a waste of everybody’s time. Jill DeWit: So that’s what could happen. And I’m like, and I was kicking myself for wasting the six phone calls that got to that point to just go, let it go. Steven Butala: So we have about, I don’t know, about 100, maybe 70 people in our group who really, really do well with this. I mean, there our senior members slash upper level members, I don’t know what we would call them. Steven Butala: And the type of questions … Advanced. Professional. Jill DeWit: How bout special? Steven Butala: I don’t know. Yeah. And they asked me … here’s the kind of question that they would ask me. What do you do about the fact that your phone rings 24/7? How can you manage that? Because, what do you do about the fact that you made 14 million bucks last year, and from a tax standpoint, I’m getting two different opinions? So those are … And here’s why they got to that level. Because they didn’t send letters to people overseas. What you’re … The path you’re going down here is gonna cause more problems than it’s worth. Jill DeWit: You’re saying, yeah, that’s one thing that they do well, is skip those properties. Steven Butala: They skip these little, tempting moments. Steven Butala: These little, tempting … Oh, maybe there’s something flashy over there. They forget about that. Jill DeWit: Stay the course. Steven Butala: The very simple, basic 101 course of, send the letters out, send offers out, and process the acquisition and the sale as fast as you can. Steven Butala: Hopefully without talking to anybody. Steven Butala: That’s way more advanced. Jill DeWit: Yeah. My favorite are the ones that we’re looking for, are the calls back when the guy goes, you found one of my 132 properties. Do you want them all? Oh gosh, that’s what you want. Steven Butala: And so, Steven, I’m using an example here. And I … We’ve answered a few questions on the show for you, and I’m … Please keep them coming. But I can tell that this is your first time, because you’re going to buy a bunch of property on your first or second mailer, and it’s going to … some of them are going to go real smoothly, and some of them are going to be like, wow, I’ll never do that again. Steven Butala: Selling to foreign owners, or buying to foreign owners is gonna be, oh, I’ll never do that again. Steven Butala: Just not worth it. Jill DeWit: Selling’s easy. No big deal. It’s the same thing. Steven Butala: I don’t … I never … You guys do that. Jill DeWit: Oh, totally. It’s no big deal. Steven Butala: That’s a good answer, Jill. Jill DeWit: Thank you. Yes. We keep you out of all that, cause I’m the sales side. Let’s be honest. I mean, it’s true. We haven’t talked about that in a while. What is your forte, Steven? Making my phone ring. Jill DeWit: And then, you know, getting the offers out, or the buyers, or whatever it is, and then my forte is closing all the deals and getting the transactions done and the sales stuff. Thank you. Steven Butala: Alright. I forgot how much I love that. Thank you for reminding me. Jill DeWit: What? That you don’t have to do it? Steven Butala: That I don’t have to be involved in sales. 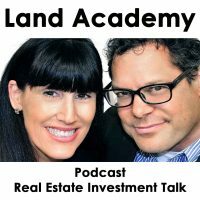 Steven Butala: Today’s topic, when to use the MLS to immediately sell your property. We talked … This is the meat of the show. We talked about the three step process to buying property and then getting it set up for immediate resale yesterday. Today, in a long list of tools and places that you can use to sell property, one of them’s the Multiple Listing Service. And the vast majority of the people that I know about, it’s their go to place. Well, if it’s not in the MLS, then it’s not a real real estate deal. How many times have you heard that? Jill DeWit: I needed access. Steven Butala: I needed access to the MLS. Steven Butala: There’s this thing called realtor.com, and redfin.com, and both of those, they’re not live feeds, but they’re as close as you’re gonna get, and neither one of them costs a dollar. Steven Butala: So, the MLS is an incredible tool for a very small sliver of the pie. So what part … When does your property fall in that sliver? If it’s land, for us, it has to be over a certain dollar amount. If you go into any MLS right now, some real estate agents have what’s called an IDX feed, and they actually are tapped into the Internet … It’s an IDX feed directly from the MLS to their website. In Arizona, there’s a company called Long Realty. I have no affiliation at all. But I go to that site all the time, because, just to access the MLS for the Southwest. And, you’ll find all kinds of property in there. Actually, you’ll find some good deals sometimes. Jill DeWit: And you’re talking land? Steven Butala: Yeah. Just land. We’re only talking about land here. But you never find property that’s 300 bucks. Or you never find property that’s 2,000. You can find a great deal on an infill lot that’s probably worth 60 to 100, maybe for 40 or 50. And I’m not advocating going to do this by any stretch. Steven Butala: The question is, when do you use the MLS, and who looks for these properties to purchase them. So, for us, if we’re going to sell a property for more than $25,000 cash, we include it in the MLS. That’s not to say we hire a real estate agent and go through all the discussion and all that stuff. What we do is, we use a flat rate … There’s flat rate companies … flat rate … List your property in the MLS for a flat rate. All over the country they’re popping up. Steven Butala: Jill and I just sold a 40-acre property for seven grand, in the MLS in Arizona, that we purchased for, what, two, two grand? Fifteen hundred, I think. Jill DeWit: It was fifteen hundred. Steven Butala: Oh, you remember those numbers. Jill DeWit: I do. I do. And I can tell you more on this, too, cause this is the good stuff. Steven Butala: Company’s called … No affiliation for the company, I’m not plugging them, but we happened to use a company called Congress Realty. Steven Butala: And I think it cost 399, $399. And we stipulate right in there, we are not paying any buy-side broker fees. Jill DeWit: So what we put in there, there’s a spot for commission. So just so everybody knows, you can’t put zero in, but you can put $1. Jill DeWit: Yep. And that’s what we put in. Commission, $1. Steven Butala: This is good stuff. I didn’t know this. Jill DeWit: There you go. That’s your little workaround. So, that’s one of the things I think I wanted to talk about. I think that’s what hangs people up. They think that you can’t use the MLS if you’re not doing a traditional, with a listing agent, and you’re not paying a traditional commission. And that is not true. Thank you. Steven Butala: So wait a minute, Steve, you just broke your own rule. You sold a property for, what did I say, I think seven grand? Steven Butala: You just said, if it’s not worth $25,000, then you don’t put it in here. Here’s why. Every time you post a property anywhere on the Internet, Zillow, Trulia, Craigslist, Ebay, your own website, LandPin, Land Watch, Land and Farm … Like how I snuck LandPin in there? Steven Butala: LandPin is our site. Our site that our members post property on. You’re going to get some interest. People are going to email you. They’re going to say, you know, tell me a little bit more about this 40-acre property. And you’re going to accumulate … The more places you put it on the Internet, the more you’re going to accumulate … buyers are going to accumulate. And so, again, the more senior members in our group, the more advanced members, know that sometimes one’s real hot and sometimes it cools off and another one picks up. Sometimes it’s Land Watch. Sometimes it’s Land and Farm. Sometimes it’s the MLS. For us, the MLS is real hot right now. And we accumulated on that 40-acre property probably ten viable buyers. Nine of them didn’t buy it. Ballpark. You know better than I do. Steven Butala: You still have to post it everywhere all around the Internet, spend some money on marketing, cause you’re going to accumulate a massive A-list of buyers really quickly. Steven Butala: That is when you use the MLS for immediate resale. Is that clear? Jill DeWit: Mm-hmm (affirmative). Absolutely. Steven Butala: Is it boring? Jill DeWit: No. Not at all. No. Steven Butala: Is it preachy? Jill DeWit: Well, you do that sometimes. Jill DeWit: No, you didn’t do that. You didn’t do that today. It was great. I’m so … People don’t know that you can do this. And this is one of the reasons, I think, that we’re here. Jill DeWit: And this is one of the things that our members tell us, like, ah, I had no idea. You just solved that for me. Thank you. You know? Steven Butala: To flippers. And it’s a very select group of people in the market. And the way that we pick those people up is, on the first property, we post it in the MLS as an investor special and hold an open house, and we pick up 20, 30, 40 buyers in the market. And then the subsequent properties we buy, they just … It’s a feeding frenzy. Steven Butala: But we still do it. We still list it, just to pick up more buyers. Steven Butala: That’s the real beauty of the MLS. It’s to pick up buyers. It’s not to actually sell the property. If you’re doing everything right, the property’s already sold anyway. Steven Butala: Jill and I had a long conversation about this. Steven Butala: Should we use the MLS or not? Jill DeWit: I feel like this is ridiculous. This is not what we do. This is not what everybody says they want, and all that good stuff. But on the end of the day, they’re still going there. So we decided, let’s just do it. Give them what they want. At least we know how to do it. With the flat rate, what’s nice, too, is when you find … It’s so easy to find these companies, too, online now. You can find a flat rate company that, even if it’s a $5,000 property but you just want to get the exposure out there and drive traffic to your website, great. It’s $399 or something like that, and you’re going to pay no commission, and you can get the exposure that you want. It’s awesome. Steven Butala: Exact same thing is true with Ebay. Ebay is a huge advertisement for your company. If you have a lot of property for sale, we always slap one property on Ebay, as just an advertisement to drive traffic to all of our other stuff. And it works like a charm. Steven Butala: Because there’s a lot of inbound questions, too. And all of those people with those inbound questions make our list. Steven Butala: So, you never stop … We’ve been doing this for almost 30 years. Next year’s going to be 30 years. Jill DeWit: Wow. That’s pretty scary. Steven Butala: Yeah. That’s what I’m thinking about. Steven Butala: Is it 20 years or 30 years? Jill DeWit: 30. ’99, wait. ’99. Steven Butala: That’s 20 years. Steven Butala: Feels like 30. Jill DeWit: 20 years. Okay, scared me. Steven Butala: Oh, that’s much better. Jill DeWit: Yeah. I was gonna say, how old are you, again? Jill DeWit: ’99. Yeah, yeah. Okay. We’re cool. Steven Butala: Anyway, no matter where you are in your career, how advanced you are, you never stop building that A-list of buyers. We’ve got tens of thousands of buyers that tap into our stuff. Daily, we probably pick up 10 or 20 new buyers, and new people who are interested, through a lot of different channels. And that is one of the reasons we are so successful. Steven Butala: Join us tomorrow. Well, you’ve done it again, actually. You’ve spent another, I don’t know, 15, 20 minutes with us here at the Land Academy Show. 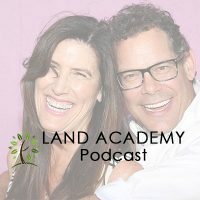 Join us tomorrow for another interesting episode where we talk about creating immediate equity with your property acquisitions. It’s Equity Week here at Land Academy. Jill DeWit: And we answer your questions. Did you have one? Post it on our online community. It’s free, found on landacademy.com. Steven Butala: You are not alone in your real estate ambition. It’s informative. Steven Butala: I learn stuff. Jill DeWit: That’s good information. Steven Butala: I learn stuff from you every show. I’m serious. I’m not joking. Steven Butala: You know, this is almost like a business meeting for us. I find out what’s going on on your side of stuff. Jill DeWit: Workaround Jill, how can I help? Steven Butala: Is that how you answer the phone? Jill DeWit: Hey, share the fun by subscribing on iTunes or wherever you are listening. And while you’re at it, rate us there.